I bought another fiddle ficus. Let's see how long this one lasts me. 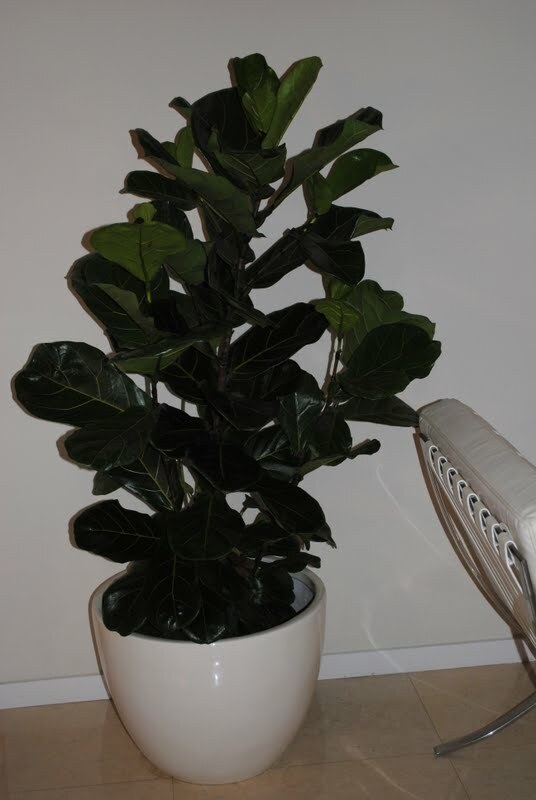 OK, back story, about 6 years ago, when we were furniture shopping for our home, we went into this really modern store and they had these giant fiddle ficus trees. They were gorgeous. I, in my impulsive state, went the next day to a nursery bought one, and a pot at Target. I immediately replanted it in the pot. A few things went wrong, I had no idea how to pot a plant, the pot was way too small, it was a light weight material which toppled over, and I had no where for the water to go. So the first time I watered it, it went outside and stayed in a little corner toppled over in a sad state. I actually went into my backyard last night and it's still there laying on it's side. Yea, I've told you my backyard ﻿is a disgrace. So last week, sister number 3, tells me she wants a tree and I tell her to find one of these. She found it for $15 at a nursery. I ran there like two days later and bought one for myself. I bought this giant pot at Target for about $40. I love it and it's light weight, but wide enough to not topple over. I have my watering schedule in place, so we should be good. My husband likes it, but is thinking that the room looks cluttered. Little does he know that I want a rug for this space. Any advice for maintaining my new tree? I love your new tree and I.Love.your.living.room! 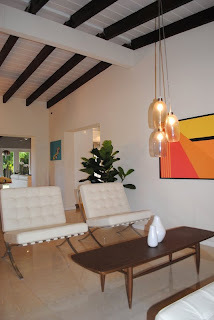 Super nice ceilings and those white chairs are to die for!!! You came by my blog and said I should link my drift wood mirror to the linking parties. What did you mean by that? As for the tree, those tend to be pretty tricky and they don't prefer to be inside. Most nurseries will tell you that about almost every tree, however those really are hard to keep. They need just the right amount of sun. My neighbor had one in her house too and it died. My advice is to make sure not to over water it and even let the soil dry completely in between watering. You seem to have allot of light which is good. I love plants and as soon I I move (tomorrow) I will post my plants that I had in my old nicely lit house and hope will still do well in this house. They are literally hard to kill. I'll let you know with pictures. cluttered?!? That room is the FURTHEST thing from cluttered ever! I second what allenaim said...if you want to see cluttered look at my living room. I think once I share it will look crazy but I like the layout of it for now. Good luck on your plant. I don't have a green thumb at all but I would like to add some succulents and air plants to my house eventually. I've been looking for some type of greenery (is that even a word) to put behind the sofa in the family room. This could be a good option. Do they have taller ones??? It looks great!! I am so envious! I keep trying to find one in my area to no avail!